The Thunderbird Hitting and Base Running camp is focused on all offensive aspects of baseball. Players will improve their hitting mechanics, bat path and bat speed, while having fun training with a variety of games and competitions throughout the afternoon. Players will put their skills to the test in live at-bat simulations and competitions. Base running techniques and skills will be implemented in their daily activities. Hitting a home run at the Rogers Centre or Fenway Park will become a reality with our HitTrax Hitting Simulators. 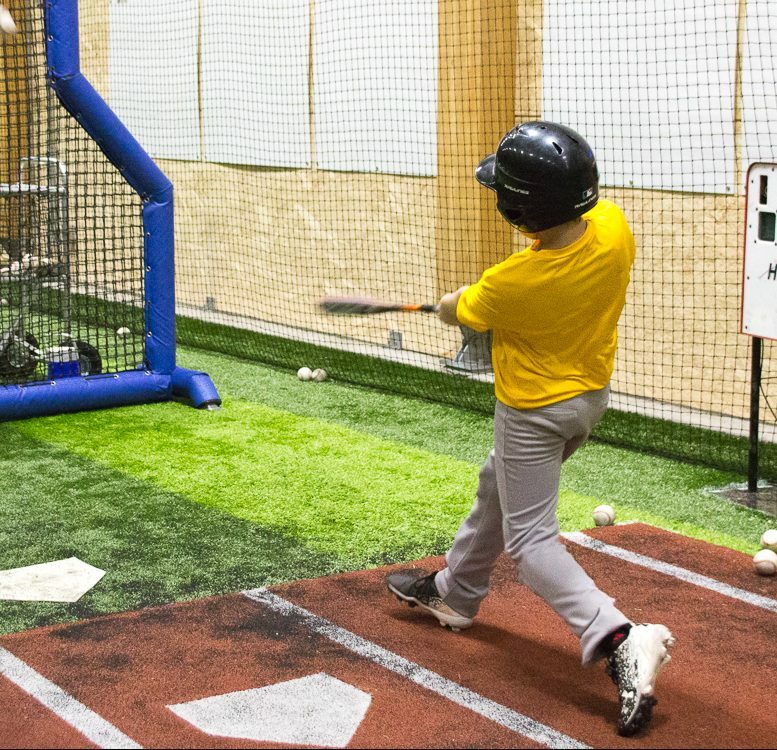 Campers can take some swings off the Pro Batter pitching machine, and see how they can handle a curveball! This camp will help your little leaguer develop their defensive skills, throwing mechanics and pitching.